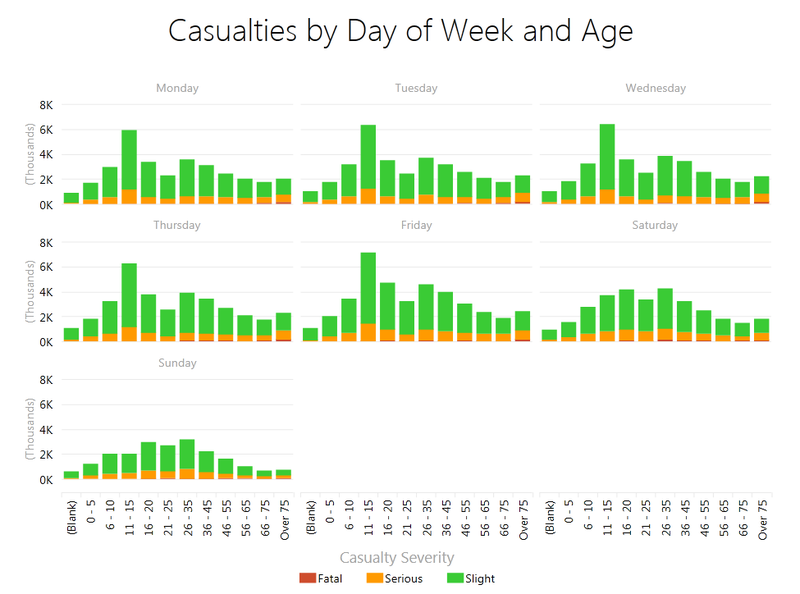 So the Power BI competition has entered the shameless self-promotion public voting round and I would like to direction your attention to my entry, which can be found here. Please follow the link and vote for me! Your support is much appreciated. Are British roads getting safer or more dangerous? 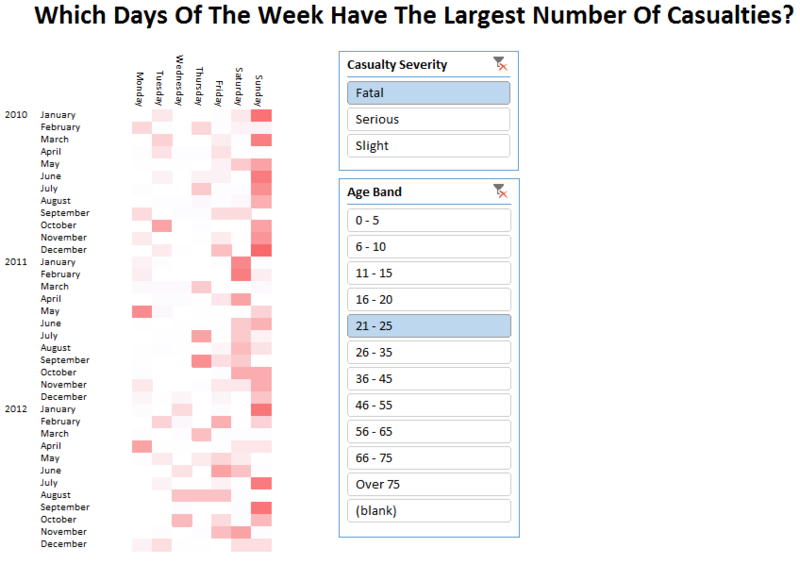 Which days of the week do most accidents occur on? Which age groups are most likely to be involved in accidents? The video itself is more thrill-packed than Star Wars, more epic than the Lord of the Rings trilogy and more intellectual than any film Ingmar Bergman ever made. It is guaranteed to win several Oscars and recommended viewing for the whole family. There are plenty of other very impressive entries that deserve to be seen, so head over to www.powerbicontest.com to take a look. And if you can’t make it to the conference but do want to learn more about Microsoft’s self-service BI stack, check out my Power BI and Power Pivot courses in London this March. Hi Chiris, how conditional format hidden values in “Witch Days of the Weeks …”?, thanks and excellent video for win the conquest. …and then used the regular Excel conditional formats. Thanks Leonard. I enjoyed your entry too! I agree it’s a shame the competition goes to the vote but I can understand why – it’s all about getting as much publicity for Power BI as possible, and the more people vote, the more people learn about Power BI. Admittedly I’ve been emailing lots of former colleagues asking them to vote. And there’s a chance at least some of them will watch the videos and learn about Power BI. Clever! I had no chance to view the video (or am to dumb to find it) however from the images in this post, I really like the first one (as it has a clear statement to me what it’s all about). The other two were so and so and I had to look longer on the charts to get the message. From my personal view, chart #1 is amazing because the headline classifies it all.